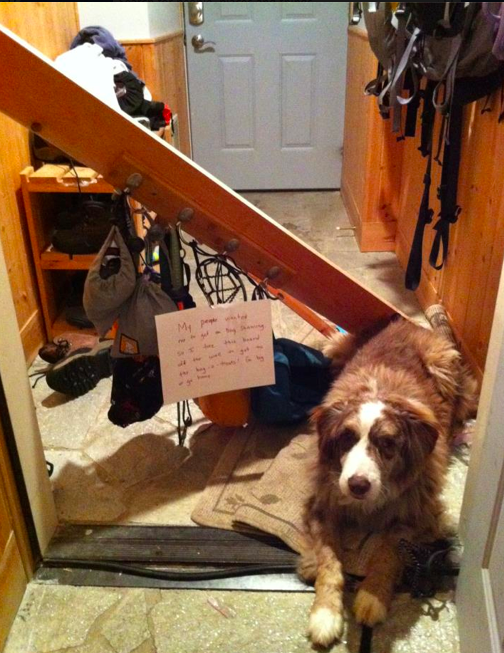 Posted October 22nd, 2014 by & filed under Best Friend Betrayal, Submitted, Who's Training Whom. I chased this beer down when it rolled away from me and brought it back to my mommy. Then it exploded all over her. I am not sure what happened. 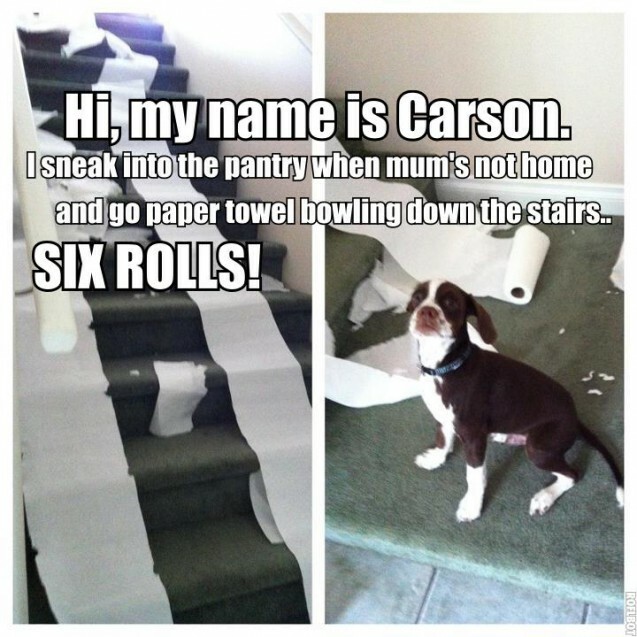 Posted September 22nd, 2012 by & filed under Pilfering Pooches, Submitted, Toilet Paper Pups. My boston/springer spaniel loves paper products. 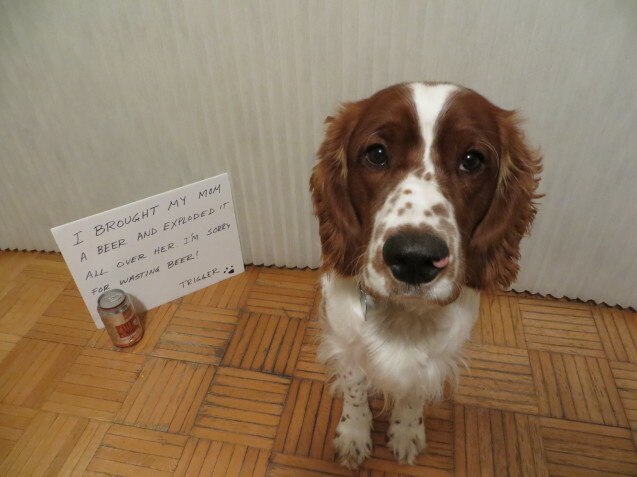 In fact he loved the whole six pack of Bounty..
Posted September 21st, 2012 by & filed under Pilfering Pooches, Submitted.